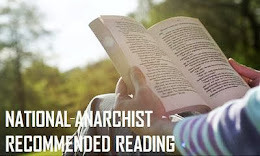 As the National-Anarchist Movement (N-AM) has been growing in militant quality, as well as quantity and therefore expansion, it has awakened the interest of many individuals from many and varied trends and sensitivities, almost all of them understanding and assuming the origin and the most elementary basis of our ideals. Many come to stay for just two or three months and they go just as they came; perhaps our Movement does not respond to their individual expectations? Many others have remained as a result of simple curiosity, sitting in comfort behind the internet barrier and as mere spectators of social networks. However, too many people - and they are the ones I'm going to focus on in this article - have tried to enter into the ranks of National-Anarchism, but in a way somewhat peculiar and rather more "private" and selfish. To be direct, I mean infiltrating elements seeking to lead National-Anarchism towards their own particular ideological terrain and usually to their individual position of supremacy, imperialism, chauvinism and Far Right sterility. If frequently, and according to our own ideological basis, we denounce Communist infiltration within Anarchism and the creeping influence of Marxism, then we must not lower our guard with respect to the proliferation of reactionary elements in the ranks of National-Anarchism, either. Since I put my two feet into this Movement, with great pride, I was clear on what it stood for after reading, studying and reflecting on our series of ideological texts and especially our Manifesto in which our views are so perfectly set out. I felt very clear that I wanted to take part in an alternative that genuinely transcended both Left and Right. 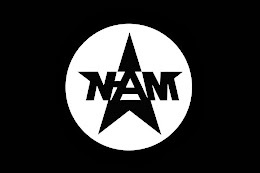 The National-Anarchist Movement has managed to pass a very turbulent stage which more or less is now calm after the expulsion of ultra-capitalist elements and self-confessed supporters of Donald Trump and Zionism. The unfortunate thing was that this attitude also came from those who were very active militants, and the most serious thing of all is that even acting on a purely local level it represented the product of a severe ideological deviation. These attitudes are clearly not acceptable since they arose among those who were activists or supposedly aware of our values and ideals and yet who strayed from those principles in order to make an attempt to take our Movement towards their own positions. 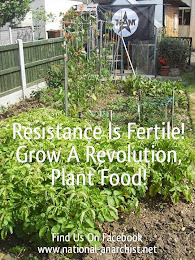 We have reason, therefore, to be alert to possible infiltration by individuals who intend to bring to our Movement their own particular "ideological flavour" and thus positions of supremacism, chauvinism, imperialism, capitalism and reaction. We must not assume that an ideological line has been drawn by our Movement and that we are not susceptible to such an approach. 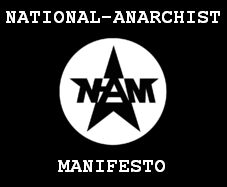 However, the National-Anarchist Movement is what it has been since the beginning and not what they want it to be. 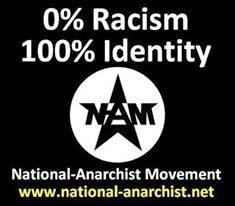 The N-AM is not merely something for the 'white man', but is also geared towards those of black and yellow extraction and stands up for all individuals and our respective languages, traditions and identities. 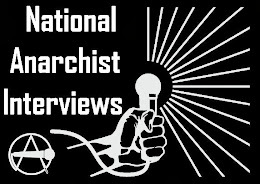 National-Anarchism cannot be supremacist, because it works for all individuals and seeks to claim freedom and emancipation for all races against the common enemy: globalisation. 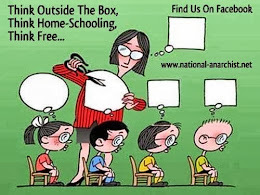 If, as I have said on previous occasions, I was convinced by anything at all from National-Anarchism, it was its sense of individual and communal freedom and the fact that National-Anarchists can be grouped into future hypothetical communities on this very basis: anarcho-environmentalists, anarcho-socialists, anarcho-individualists, Pagans, Christians, Gnostics, atheists and much more. 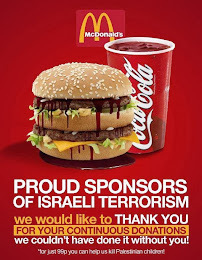 But it is also quite clear and logical that we have a strong base opposing capitalist positions and those of supremacism, chauvinism, authoritarianism, imperialism and racism. We oppose all forms of extreme or excessive racial exaltation, but, at the same time, we cling to the protection of those ethnic differences as important factors in the world's great wealth of diversity. We advocate the freedom of all from the old European nation-states (and worldwide) who are living under the asphyxiation of their respective statist oppression. This corresponds directly to the task of National-Anarchist activists to highlight, unmask, reject and isolate these reactionary elements, making it a work of neutralization before it can, like a tumour, begin to infiltrate, confuse, intoxicate and destabilize.